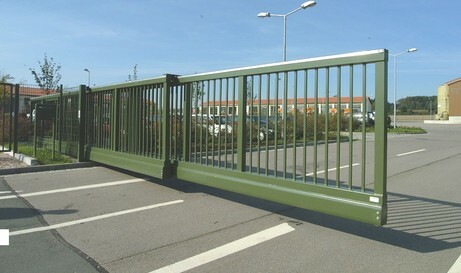 Sliding gates are very important types of gates. Sliding gates are in essence gates that slide. Having a sliding gate means that you will be moving your gate with ease. Many people in Orange County, California have started to recognize the importance of sliding gates. Maybe going scouting, California are also in need of a company that will place their sliding gate. People of orange county come California unit I need to look any further because Awesome Quality Garage Doors and Gates, S-Corp, is your go to company for all things garage doors and gates. We are also your go to for all sliding gates as well. We are the most prestigious company and all of orange county, California when it comes to garage doors and gate repairs. we understand what I mean is actually service the customer to their fullest potential. We want to make sure that every single person who books with our company gets that sliding gate that they want. We make sure that everybody in Orange County, CA gets the best garage door and gate repair as possible. Our company is very unique because we do not only service in Orange County, California we also service all cities and towns that border Orange County, California because we want our services including our sliding gates services to be available to everyone. A-lot of people usually have a question about our prices I want another fordable, well we have one asked for this we would all types of budgets because we want everybody to be available to get an awesome quality garage door and gate repair. We understand that many companies may think this is an ethical, but this is actually really ethical because we give the minority a chance to get awesome services that they may never get at other neighboring and companies.We will assure you get sliding gates these gates are very effective sliding gates. Well there's a lot of pros about sliding gates and virtually no cons about having sliding gate. Having a sliding gate means you have made your family safe with a gate that is hard to get in and easy to open for the owner of the gate. Having a sliding gate means you are a very simple person. It is very, very easy to get with them contact of our corporation, all you need to do is fill out an instant form that is very easy to complete or call us at this number (---)--- ---- and our operators will be with you shortly. We really appreciate that you have chosen Awesome Quality Garage Doors and Gates, S – Corp for all your sliding gate endeavors. And your garage door and gate repair endeavors in Orange County, California. We look forward to doing your sliding gate! Sliding gates are effective in every scenario. If you were to ever lock yourself out the house, your sliding gate would be there as a opening to passage in your house. So I need to just so awesome and fun to have around. There's countless amounts of reasons why people love having sliding gates. We are just happy to be a company that gets to place your sliding gate for you. Do you know the importance of the sliding gate and you know the employees of the company that is responsible and reliable to do is contact us.